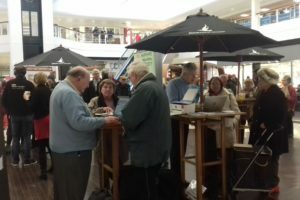 On Friday 1st February, Radio Solent broadcasted their Sasha Twining Show from the Dolphin Shopping Centre in Poole. 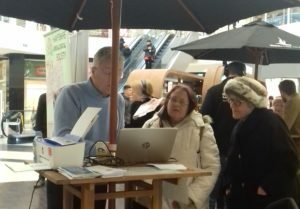 Along with two other experts, HGS Chairman and Ringwood Group member Paul Pinhorne, along with Pat and George Hilbert, also from the Ringwood Group were there to help people with their family history research. 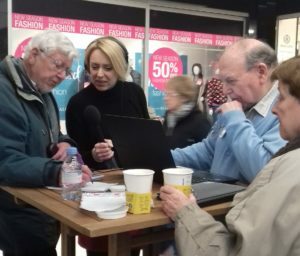 Many interesting questions kept all three busy for the whole of the three hours, demonstrating how popular researching your family history has become. All three were frequently interviewed by Sasha on air during this time.